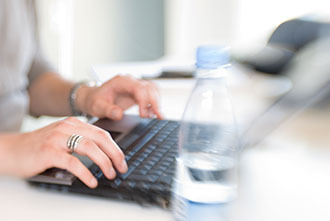 Want to find out how to write a CNA cover letter for best results? When you apply for a job as a certified nursing assistant, be clear in your cover letter when and this includes your education, training, work experience, and dedication to the health profession. There may be a tight competition in applying for the job so it is essential that you express yourself in the best possible way. 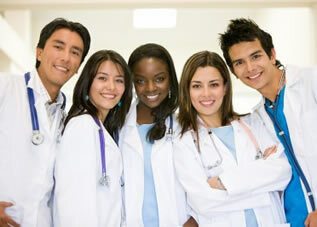 CNA’s or certified nursing assistants are the ones who help patients of different ages with various healthcare needs. They work under the supervision of a Registered Nurse or a Licensed Practical Nurse. Nursing assistants work in different settings including the hospitals, nursing homes, adult day care centers, assisted living facilities, and personal homes. These professionals are the eyes and ears of their supervisors and like the nurses they have day-to-day contact with patients. This makes them the ones to relay pertinent information to the nurses supervising them. The key to the success in getting the job is to have an effective cover letter for the job application as a certified nursing assistant. It needs to be written concise as well as standardized. The cover letter is a direct expression to the employer having the goal to convince them that you are the person that best fits the job. It must be read like you are actually specially writing to the employer rather than just writing a general letter. A connection needs to be built because this will also reflect your understanding of the job. When you have gathered information already, it is now time to begin thinking as to the content of the letter. It is essential that you include relevant skills as well as your experience similar to the position when you write the cover letter. Talk a little about your personal life but be certain to relate it to professional life as much as possible. Be sure to show your enthusiasm and passion for the job position. Below are some tips that can help you in further improving your cover letter in order to obtain bigger chance in getting hired for the job. – As much as possible, try relating your work experience as well as skills to the projects which the company has involvement with. Moreover, connect them to the position which you are applying for. – Separate the cover letter from your resume. The two are different so make sure that both do not say the same thing. – Be direct to the point by making the cover letter not too long. One page should be enough for length. – Be certain that you do not commit errors especially with regards to formatting, grammar, and spelling. Use only one font as well as font size for uniformity. – You must send a cover letter when applying for a job even if you are not asked to. This is going to add a personal touch showing the employer your willingness in getting the job. – Remember to thank the employer for considering your application and for devoting his or her time. Visit this page to learn how to write a CNA resume. 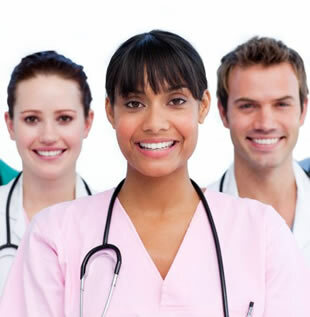 Restorative certified nursing assistants play the expanded role of certified nurse assistants as they have undergone additional specialized training focusing in restorative nursing care. They help the clients in obtaining an improved quality of life by means of increasing mobility and strength levels. Often, these professionals work in hospital therapy departments, assisted living communities, long-duration care facilities, adult day care centers, home health agencies, and rehabilitation centers. The restorative certified nursing assistants work with the residents who need restorative nursing measures in order to achieve or maintain the highest functioning level. They render direct restorative care as well as delegated therapy tasks and these include active and passive range of motion, special positioning techniques, ambulating, bladder restraining, and restorative dining. Part of their duties also include giving assistance to the regular certified nursing assistants with regards to positioning, ambulation, specifics of activities of daily living, application of safety devices, documentation, and other assigned duties. • Cleaning and organizing the work area as well as disinfecting the equipment following a treatment. • Operating office equipment like the voice mail messaging systems. They also make use of the word processing, spreadsheet, and other software applications needed for the preparation of reports, letters, invoices, case histories, financial reports, and medical records. • Giving instructions, motivation, and assistance to the clients who practice exercises as well as functional activities. This is done as directed by the medical staff. • Recording the treatment that has been done including the equipment that were used. • Having discussions with the colleagues for the evaluation of the client information necessary to plan, modify, and coordinate the treatment. • Observing the clients at the time of the treatment for the compilation and evaluation of the data regarding their progress and responses. Also, they are the ones to report the data to the physical therapist. • Securing the clients into therapy equipment. • Changing linens which include the pillow cases and the bed sheets. • Transporting the clients to and from the treatment rooms. Upon transportation, they make use of wheelchairs or have the provision of standing support. • Arranging treatment supplies for them to be in order. • Answering telephones and directing the calls to the appropriate recipient of the call. – The person must be practicing CNA with a minimum of six months experience following the completion of the CNA program. – There must be a recommendation coming from the director of the nursing facility from which he or she is employed. – The person must possess a high school diploma or GED. For the education program, there is a manual available which is developed by the Department of Health and Senior Services. It has thirty hours of classroom and laboratory instruction. There is a minimum of 30 hours clinical practice for every participant and they are being supervised by the facilitator or licensed therapist. The evaluation may be gauged through written examinations. Nursing assistants, or otherwise known as the nurses’ aides, are health professionals who are working under the supervision of the nurse. They work in various settings which include the nursing homes, hospice, assisted living, hospitals, correctional institutions, community-based long-duration care, and other settings that provide long-term care. These professionals render help to different clients of various ages by performing majority of the basic daily tasks. They play a vital role in the lives of the patients as they are the ones who have extensive contact with them, thus, leaving them the duty to keep the nurses up-to-date regarding the essential information about the conditions of the patients. Nursing assistants play important roles in the field of health care which make it vital that one should have relevant and interesting data on the resume especially when applying for nursing assistant jobs. The resume needs to be more enticing as much as possible in order to be noticed. This is important so that one can get hired right away especially that the position is in great competition. When creating a certified nursing assistant resume, it must stand out among the rest in order to get the position in this field of health care. The goal of your resume is to impress the employers. Below are steps in creating a resume that you can take into consideration. – The header should contain your name and title written in bigger font compared to the rest of the font of the resume’s content to give emphasis on you as the applicant. Be certain to include writing your contact details such as the home address, home telephone number, mobile number, and the e-mail address. – Write the position you are applying for, which includes its brief description, in order to give specification of the job title that you prefer. This will highlight the duties and responsibilities of the job you desire to have, thus, giving the employer an idea that you are aware of them. – Include in your resume your different objectives for the job. This will introduce you to the employers regarding your target goals for the job. It will also reflect your expectations. – Next is to write your nursing skills. This will show your capabilities and assets in the field of healthcare. It gives reflection on your expertise which the employers can gauge as to what you are capable of doing. These skills may include patient care and safety, monitoring of vital signs, diagnostic testing, administration of medicines, charting, patient advocacy, and many more. – Make sure to include putting in your professional work experience which you may have done. This will give highlight to your resume as it will show what work you have experienced doing and in what kind of setting you have delivered your skills. – Your educational attainment may also be part of the resume because this will show from which school you have learned the knowledge and skills of being a nursing assistant. – You may add essential information like your availability for all shifts and willingness to extend hours as well as do weekend assignments because many facilities would love to hire one that is eager is to go an extra mile. You can download a CNA resume example template for Microsoft Word from this link. Visit this page for more information on how to write a CNA cover letter. These days a lot of aspiring students take up nursing due to the increasing demand for health care workforce and the greener pasture this career path is about to offer. Among the nursing service team, a registered nurse is one of the most respectable and knowledge-equipped personnel that provides quality and safe nursing care. Like any other profession, becoming an R.N. requires a step-by-step procedure on how to obtain a license to practice nursing. 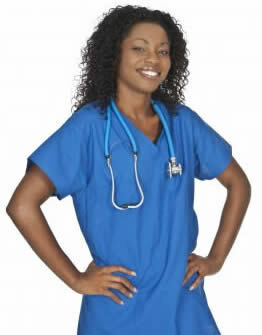 Initially, every nurse trainee must secure the proper educational course to take in order to become a registered nurse. A number of nursing courses and degrees are available that can be pursued in relation to licensure as a registered nurse. There are three most common ways to become a RN. The most typical path is taking up an Associate Degree in Nursing (ADN) in which it only requires the student to attend a two-year program at a junior or community college. Having a diploma program is the second choice which lasts for about three years and is available through hospitals. Lastly, a Bachelor of Science in Nursing (BSN) degree, like any other degree programs, requires four school years to finish and is granted by a university or college. The first two years of the BSN program focus on human anatomy and physiology, psychology, microbiology, nutrition, organic chemistry and human growth and development. The final two years concentrate on medical and surgical, pediatric, maternal and child, community and psychiatric nursing. RNs who have completed a BSN degree are considered under the professional level while ADN-skilled RNs are categorized under the technical level. Thus, RNs who are BSN degree holder have more employment opportunities than RNs who had ADN or diploma courses. Currently, a lot of nurses practice the BSN completion program where they start in the ADN program then accelerate into a BSN degree course. Through this process, transition from ADN to BSN is faster than undergoing the conventional program. After graduation from any of the three common nursing education programs, an examination for licensure must be passed before start of actual nursing practice. The National Council of State Boards of Nursing conducts the National Council Licensure Examination (NCLEX-RN). 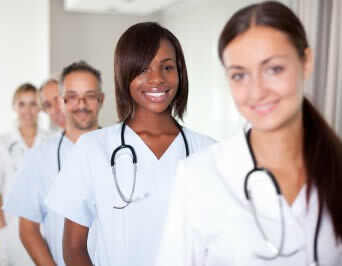 Through the NCLEX-RN, nursing knowledge, competency and understanding are tested. All 50 states in the United States applies NCLEX-RN. Requirements for maintaining the license varies from one state to another and requires renewal through continuing education. Every state has a board of nursing which imposes rules and regulations for the safe and quality practice of nursing throughout the entire United States. After getting hold of the title and license, RNs have other specialized paths of education for further expertise and knowledge. 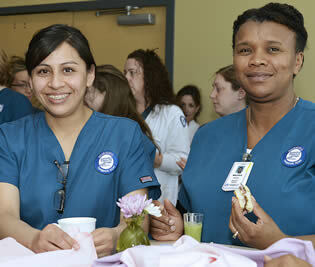 First, a Master’s Degree allows RNs to become nurse educators, nurse administrators and advanced practice nurses. If anyone is inclined in performing research studies, a Doctor of Philosophy (PhD) program is most suitable. A more advanced level of Master’s Degree of Nursing, called Doctor of Nursing Practice, concentrate on the roles of responsibilities of a nurse in leadership and clinical practice. You can read more about transitioning from a CNA to a nurse on this page. A certified nursing assistant is a health medical professional working in different health care environments such as the hospitals, retirement communities, nursing homes, and offices of the physicians. – Attending to the needs of the patients. The nursing assistants relay whatever changes on the condition of the patients to the registered nurse for further assessment to be done. In order to succeed as a CNA, there are a lot of qualities needed. 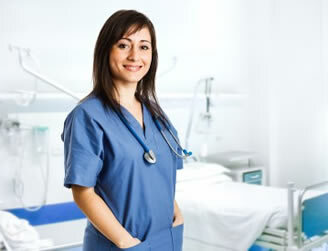 The nursing assistant must have the organization, efficiency, and is able to do multi-tasking. The career being a CNA is a good choice for career stability and it is perfect for those who have the dedication in helping others. Skilled Nursing Facilities – it requires a lot of work which makes it stressful. There are a few patients to care for so there would be several CNA’s needed to handle the needs of every patient. The best means of getting hired at this area is to do well and cultivate relationships during the clinical hours. This will get the attention of the employers. Be certain to inform the facility your eagerness in working for them and that you will submit your application once you obtain your CNA certificate. 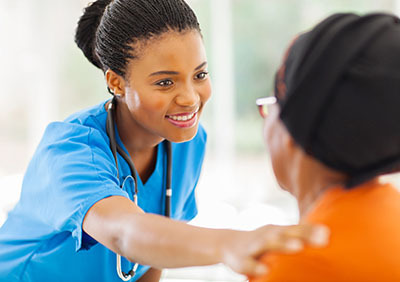 Home Health Aide Agency – this facility will let a CNA handle one patient instead of 8 to 12. It is less stressful compared to working in a skilled nursing facility. Frequently, a 24-hour shift is available. 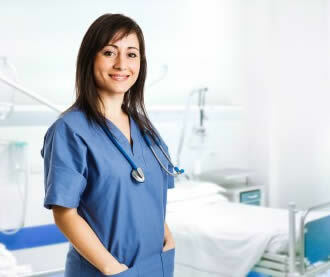 Local Hospitals – it is the best place for CNA jobs. 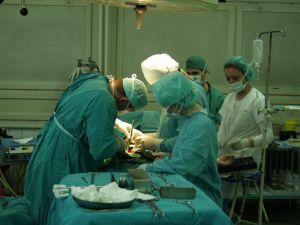 Chances of getting hired may be little unless you volunteer at the hospital because you will be able to show your personality, skills and work ethics. Hospitals usually offer incredible benefits (Medical and Dental) as well. Assisted Living Facilities – this employment will need the CNA to assist the clients with their daily routines. The patients at this facility are not as acute or time-consuming compared to the patients in the skilled nursing facility. Pediatric Care – it is a sector that requires a training course of approximately three to four weeks to be able to handle pediatric patients. Medical Transcription – a medical transcriptionist is responsible to convert the medical reports which are given by the physicians into official formats and documents that will be used by the medical professionals as they review the patient details. It is a vital tool to prepare the medical file of a patient and it needs the skill and knowledge of the nursing assistant in editing the documents along with the abbreviations of medical terms. Traveling CNA – the certified nursing assistant performs duties by travelling to various destinations depending on the needs of the patients. The nursing assistant will not have a schedule and will only need to report to the places of the clients as soon as the medical team will call.